What Vitamins Help Your Fingernails Grow? According to a BBC News Scotland report, the rise of a rare disease known as rickets may concern clinicians. The disease is characterized by weakening of bones in children. According to Scotland's Health Secretary, vitamin D is essential for maintaining healthy bones. Among the essential substances that your body needs for good health are a particular set of vitamins and minerals for strong bones. The U.S. National Library of Medicine Medline Plus online database indicates that vitamin C is important for skin, bones and connective tissues throughout your body. A study published in the “Journal of Bones and Mineral Research” indicates that vitamin C supplements may have beneficial effects on bone mineral density, especially among postmenopausal women who use estrogen therapy and calcium supplements. According to the National Institutes of Health Office of Dietary Supplements, vitamin D promotes bone growth and bone “remodeling.” The Office suggests that your bones may become thin, brittle or misshapen without sufficient amounts of vitamin D. Vitamin D works with calcium to help prevent the development of osteoporosis in older adults. Vitamin D can help treat children with rickets or adults with osteomalacia. These diseases are characterized by vitamin D deficiency, soft bones and skeletal deformities. The Worlds Healthiest Foods online database suggests that vitamin K is critical for healthy bones. Vitamin K helps protect your bones from fractures and may help prevent post-menopausal bone loss. 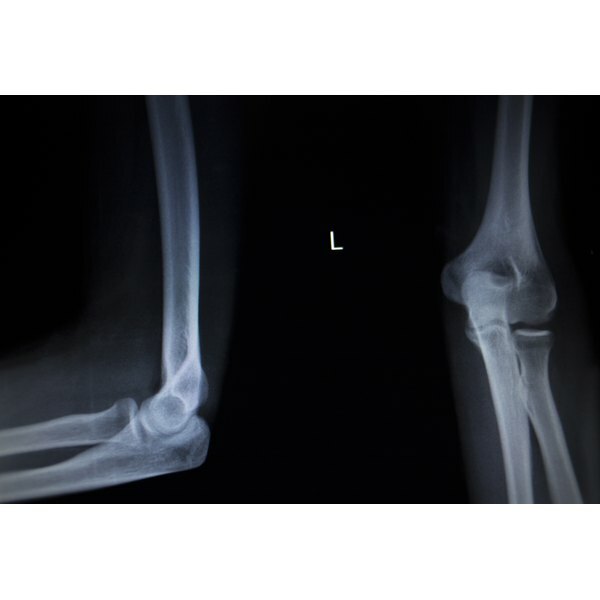 People with weak bones or problems with bone fractures may need more vitamin K. Vitamin K helps control the amount of bone demineralization by blocking the formation of bone demineralizing substances known as osteoclasts. These substances help take minerals out of the bones for other bodily functions, but too may osteoclasts cause excessive demineralization. Calcium is a macromineral that your body needs for healthy bones, according to the Worlds Healthiest Foods online database. A person with bone deformities or frequent bone fractures may have a calcium deficiency. The Worlds Healthiest Foods suggests that 99 percent of the calcium in your body is in your bones and teeth. Phosphorus is a macromineral that your body needs for healthy bones. Phosphorus works with calcium in a process known as bone mineralization to form calcium phosphate. According to the World’s Healthiest Foods, calcium phosphate is a primary component of a mineral complex that gives your bones structure and strength.